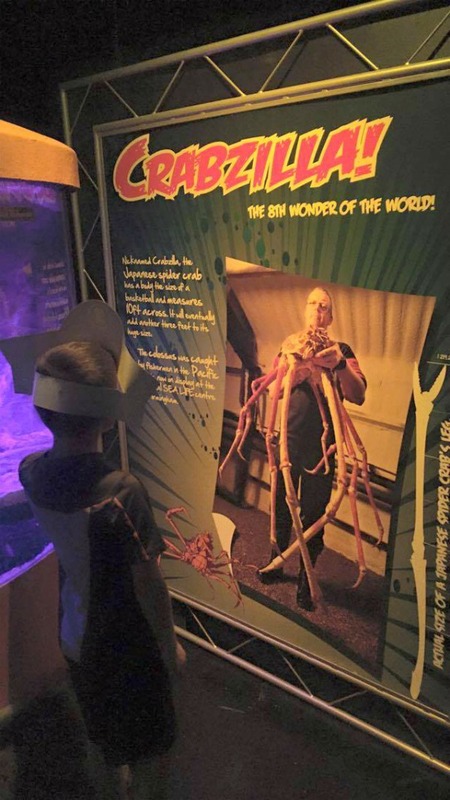 See What’s New at SEA LIFE Aquarium – Grapevine – CLAWS! 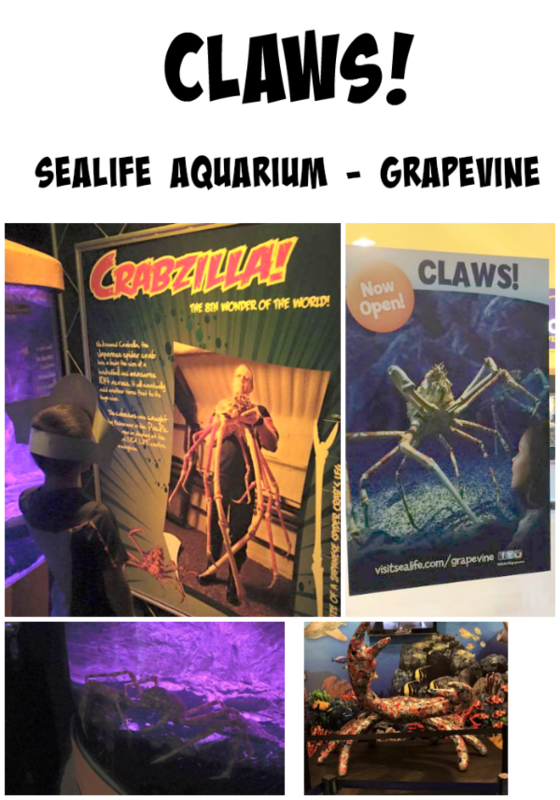 See What's New at SEA LIFE Aquarium – Grapevine – CLAWS! This post has been brought to you by SEA LIFE Aquarium. All opinions are mine. The boys have always been fascinated with life swimming in the sea. 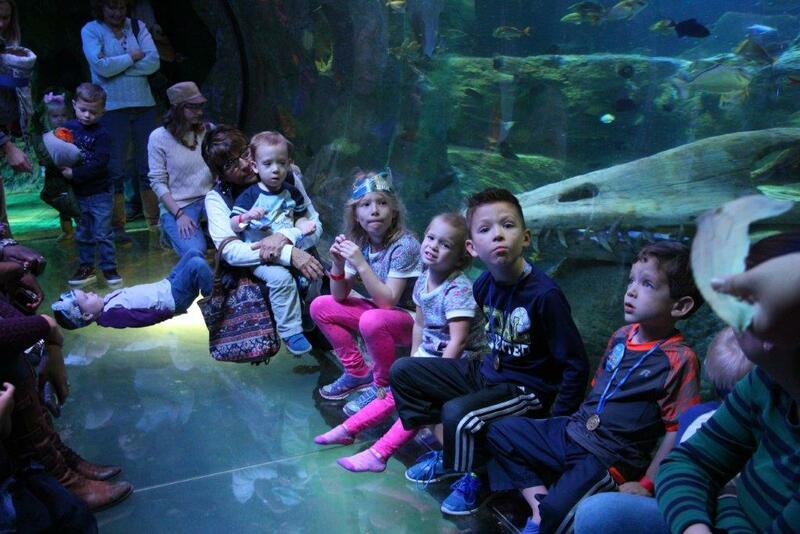 We have taken them to SEA LIFE Aquarium in Grapevine, Texas, a few times now, and each time is so magical. 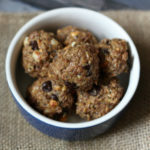 We discover new things each and every time we go….and this time was no different! The new CLAWS! exhibit was so much fun for all of us. Upon entering SEA LIFE, we were greeted with a large 5 foot crab sculpture created by local artist Val Curry, made out of 1,500 recycled soda cans. The project is called "Sink Your Claws Into Recycling!" It was so cool! Throughout SEA LIFE, we found so many cool things to explore. The Octonauts were being featured while we were there, but events are always changing, so make sure to visit the website to see what will be happening during your visit. Now…back to CLAWS! 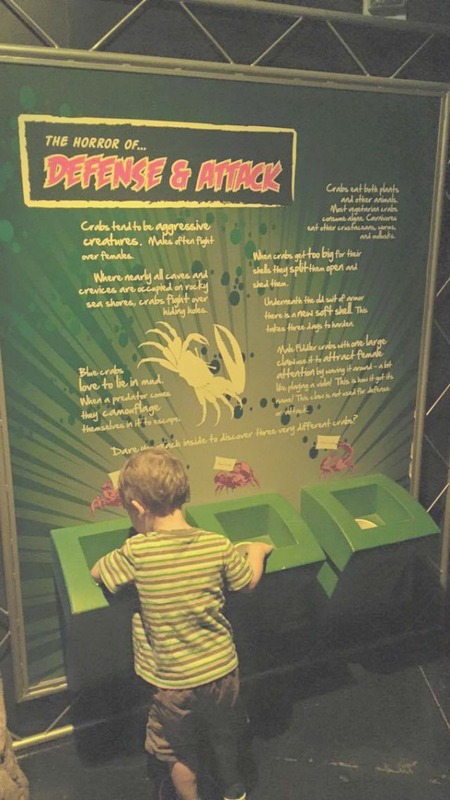 This exhibit displays different crustaceans from around the world. Coconut crabs, porcupine crabs, land crabs, a Japanese spider crab, and even lobsters are at SEA LIFE! I love that there are facts displayed about the animals so we all can learn more about the different, unique sea life. There are even some hands on activities! 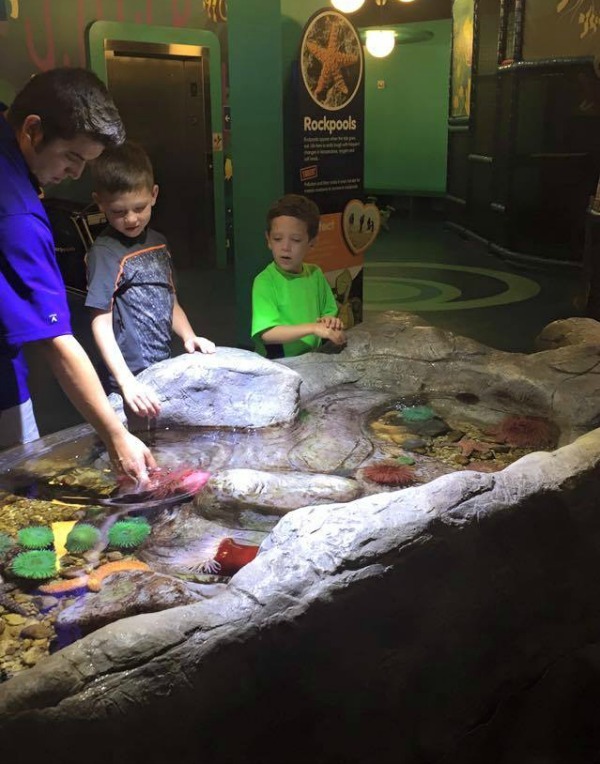 The guys were able to touch sea stars, urchins, and anemones, all supervised by a helpful and nice guide, because let's face it….if you have seen "Finding Dory," you know that can be quite stressful on the animals if not done correctly! 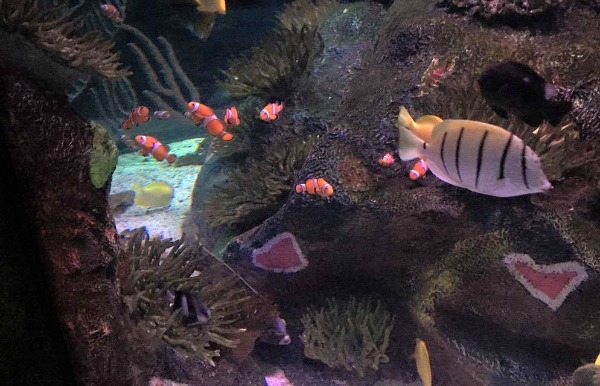 In addition to viewing several saltwater celebrities, including 21 regal tangs known popularly as “Dory”, the aquarium is adding a new educational “Stars of the Sea” feature that includes a special quiz trail and educational talks in the 360° Ocean Tunnel and Clownfish Caves. 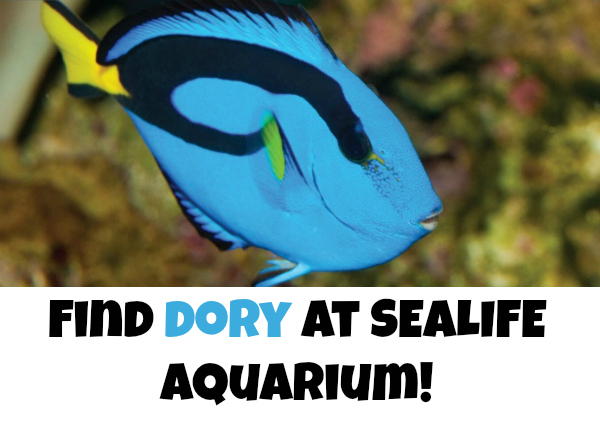 Learn the latest fishy facts on tangs, clownfish, octopus and more starting July 12th and running throughout the month. Follow the quiz trail to find out who is the master of disguise, the creature with the perfect home, and why most of these animals don’t make great pets for home aquariums. 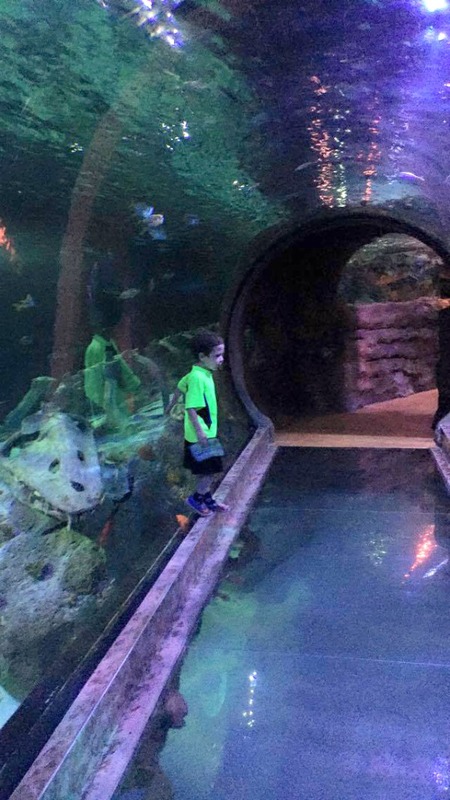 I love how SEA LIFE has created many different ways for kids to see these beautiful creatures. 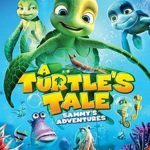 Many different angles and views, including the ocean tunnel, where you can see sharks, turtles, rays, fish, and more, all around you! 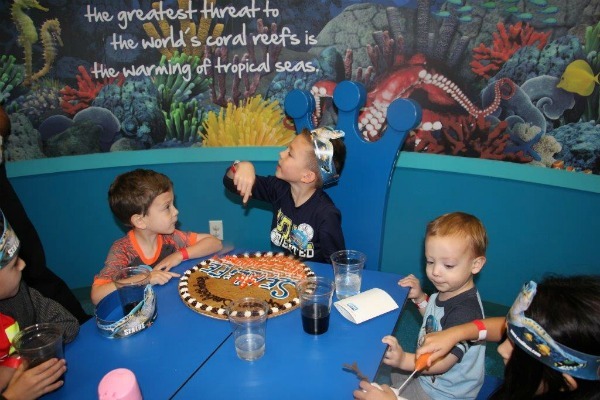 We had the boys' combined birthday party at SEA LIFE in November and it was so much fun! Everything is taken care of and the kids had a blast! Definitely check it out if you are looking for a fun birthday party! Looks like a great time! 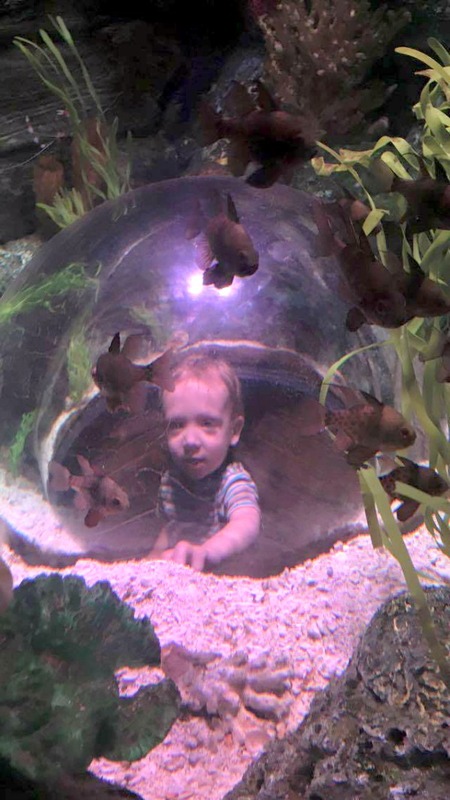 Aquariums are magical.